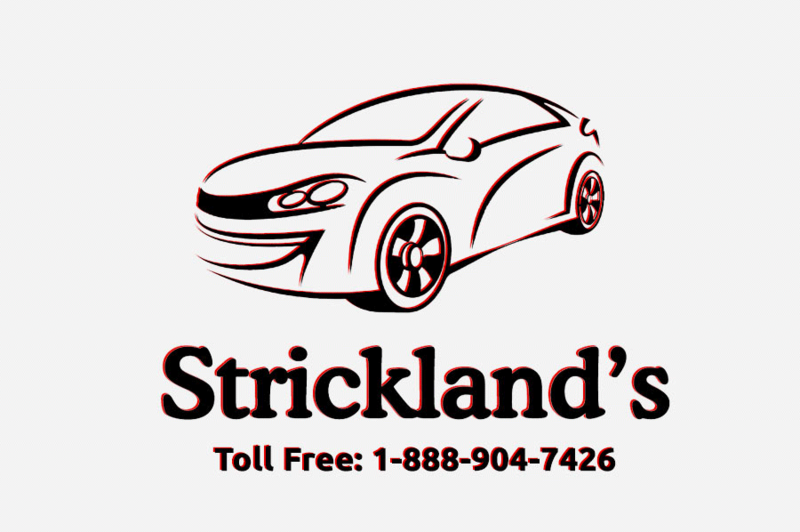 Strickland's has over 1300 vehicles in stock and 5 locations to serve you. Please call to confirm availability & location. We pride ourselves in No Hassle, No Pressure, Honest Service. We practice full disclosure with all our used vehicles and have a Better Business Bureau A+ rating! ** Strickland's reserves the right to correct any errors and omissions that occur on this site. (Incl, but not limited to price, incl. event price rollbacks, vehicles features & more). ** It is the guest's sole responsibility to verify the existence and condition of any features listed. Strickland's is not responsible for misprints on prices or features. It is the guest's sole responsibility to verify the accuracy of the prices with the dealer. ** Pricing subject to change without notice. 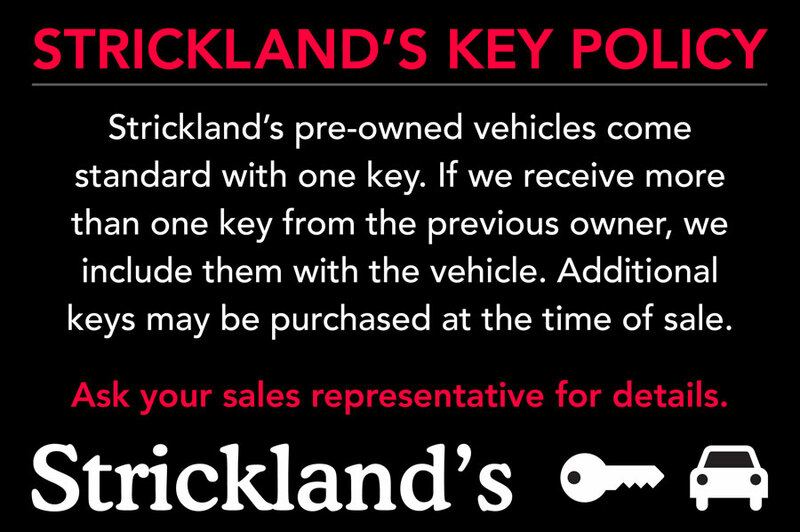 Strickland's pre-owned vehicles come standard with one key. If we receive more than one key from the previous owner, we include them with the vehicle. Additional keys may be purchased at the time of sale. Ask your sales representative for details. *All financing is based on your individual credit score and is subject to financing approval. *Search our inventory by stock number.